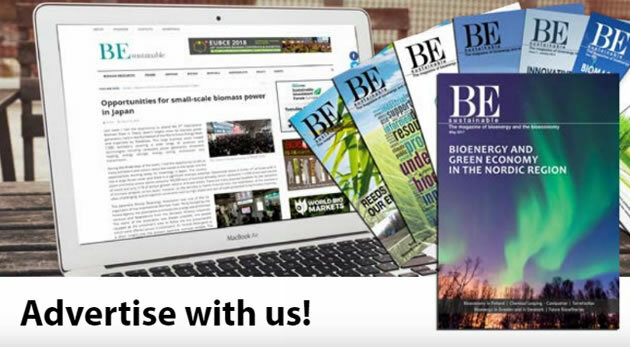 Advertise in BE-Sustainable Magazine to maximize your presence! Jointly presented with major international organisations, the EUBCE 2019 Parallel Events offer a deep insight into specific topics along the most recent biomass technology, biomass application and market trends and address to global decision makers from industry, research, finance and politics. In this news the preview of Parallel Events part 1 is exposed. Part 2 will be published in further upcoming news. This event will gather experts from industry and research into three sessions dedicated to heat and power applications, forest biorefineries, emerging technologies and biomass markets. First presentations will cover different aspects of the potential role of biomass in the Portuguese energy system in order to introduce the roundtable "How to create biomass markets linked to forest/land management". The second part of the programme will mainly focus on emerging technologies for bioliquids and biofuels production in biorefineries. This side event will give the opportunity to share experiences on sustainable development of bioenergy with a particular focus on Africa. Sustainability Indicators for Bioenergy will be presented by showing the results of experiences and best cases, from bioenergy data collection to indicators measurement and resources assessment, to track the development of bioenergy and introduce bioenergy good practices. This research policy workshop will focus on how to move forward the innovation chain in the EU for bioenergy, advanced biofuels and renewable fuels, contributing to the clean energy transformation in energy and transport, in line with the Strategic Development Goals and the EU Communication “Clean Planet for All”. Results from the entire portfolio of 68 projects supported under the European Union’s Framework Programme Horizon 2020 – Secure, clean and efficient energy challenge will feed into the discussion. The workshop will provide precious insights on current experiences and future outlook for Bioenergy with Carbon Capture, Storage and Use (BECCSUS). Peculiar attention will be on science-based policy making, discussing the best ways to use the most up-to-date scientific results in the policy making cycle to assess the sustainability and mitigation potential of BECCSUS projects and applications. Tap Air Portugal offer special prices and conditions to participants, visitors, exhibitors, invited guests as well as employees of the Contracting Partner and their travel companions. The code IT19TPCG103 given to this event must be mentioned when making the booking in order to benefit from the discount. To make the reservation enter the website www.flytap.com, select flights and dates, insert the event code in the Promotion/Congress Code Box, located on the left side or bottom of the webpage. Contact marketing@besustainablemagazine.com to discover advertising options available both in digital and print format. A4F - Algae for Future- is a biotechnology company, located in Portugal, with more than 20 years of accumulated experience in microalgae Research & Development and microalgae production (up to industrial scale). A4F is specialized in the design, build, operation and transfer (DBOT) of commercial-scale microalgae production units, using different technologies that better adapt to our Customers’ business. Complementing our long experience, A4F distinguishes itself through its methodology which includes scaling-up from prototypes in our Experimental Unit in Lisbon to large-scale facilities. Additionally, A4F also develops standard operating procedures for optimized microalgae production, according to production goals and with industry best practices. A4F, Confidence built on Experience.